Firearms have been around for many years, but are you a safe gun owner? 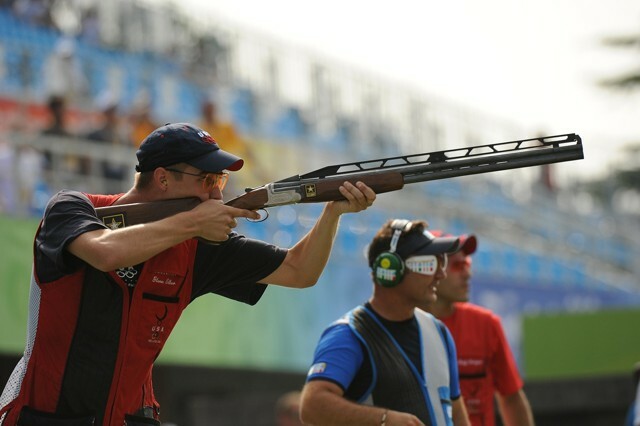 Whether you use your gun for sports shooting or recreation, it is essential to learn the importance of firearm safety. To understand the benefits of gun training, operation and storage, follow these tips and tricks for more on firearm practice, shooting sports, skill building, situational awareness, gun clubs, and gun maintenance. 1. Know your target and what lies beyond it. Once a bullet has left the chamber, there's no stopping it. Always know exactly what you're shooting at and what lies beyond your mark. Even if you hit your target, the bullet may pierce through and continue forward. Before pulling the trigger, there are many questions you should ask yourself. If you miss your target, can a stray bullet hurt someone or damage property? Are there any homes nearby? Where is the closest road? Even a ricochet can be a deadly threat. Bullets have an incredible amount of velocity that propels them at great distances. 2. Wear eye and ear protection. Firearms are explosive in power and can be deafening. When handling a firearm, your visual and hearing health should be your top priority. You should wear heavy duty protective glasses to keep your eyes safe from a possible ricochet, powder residue, or flying chips from a target impact. Eye protection should be worn even when you're cleaning your weapon, as there are many parts, such as springs, that can snap and cause eye injury. When it comes to ear safety, you want to use a headset that provides maximum protection. Earplugs are also a good option. Continued exposure to the continuous thundering of a firearm can lead to permanent hearing loss, so it's vital that you cover your ears with some form of protection. 3. Use the right type of ammunition. Every firearm is designed to handle a certain caliber of ammunition. There is no exception to this rule. Failure to use the right caliber or improperly loading and mixing ammo can have potentially devastating effects that can lead to horrible injury or death. 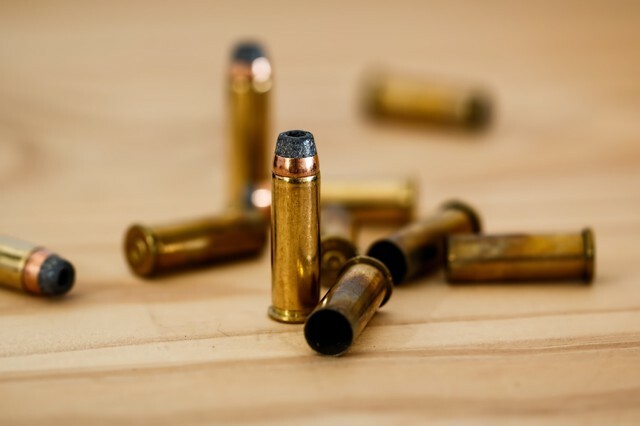 In extreme cases, the wrong type of ammunition can cause your gun to explode in your hands. If you're unsure of what type of ammunition to use, consult an expert or refer to the instruction manual that came with your weapon. Remember, if you're unsure, guessing is not the answer. Consult a professional. It's common practice amongst many shooters to hand load their firearms. Keep in mind that there's more to reloading than meets the eye. Anyone who reloads a gun should be cautious of the explosive nature of gunpowder. When you're reloading, you should take proper precautions as if you were handling explosives. Talk to a gun expert. Ask their advice on how to go about loading your ammunition as safely as possible. Always follow the instructions laid out by the manufacturer. Deviating from these guidelines can lead to injury or death. An explosion can occur from the use of incorrect shot, the wrong type/quantity of powder and any other deviation from the instructions of the manufacturer. If there is ever a time where you pull the trigger and the ammunition in your gun doesn't discharge, quickly point the weapon in a safe direction. In situations like this, the gun could discharge at any time. Make sure to keep your face clear of the breech before slipping on the safety. Open the action and unload the gun. From there you can remove the cartridge safely. Any gun malfunction should be treated with the utmost care. If a shell is still in the chamber, then your gun is primed and ready to use. 1. Keep your muzzle pointed in a safe direction. A gun is most dangerous when it's loaded. Keep your weapon pointed in a safe direction even if you have excellent trigger control. Never point at anything that you don't intend to shoot. Forming a new habit of always knowing where your muzzle is pointed can save you and others around you from serious injury. 2. Unload your weapon after you're finished. Your firearm should only be loaded when you're out on in the field or on the target range preparing to fire. If you have a loaded gun, never let it leave your sight. In fact, don't let it leave your hands. Once you've finished shooting, completely unload your weapon. This means that you've cleared all ammunition out of both the magazine and the chamber. Before putting your weapon away or handing it to someone else, make a visual inspection of the chamber, receiver, and magazine to ensure that it doesn't contain ammunition. Ultimately, you never want to assume that a gun is unloaded. This is especially true if you're the last person to use it. 3. Don't rely on the safety features of your gun. Most modern firearms are designed with a specific emphasis on safety. Never forget that a gun is a man-made mechanical device. Guns can fail. Accidents often happen due to human error. For example, don't assume your safety is engaged or your weapon is unloaded without checking first. There could be a round in the chamber and your safety might be off. 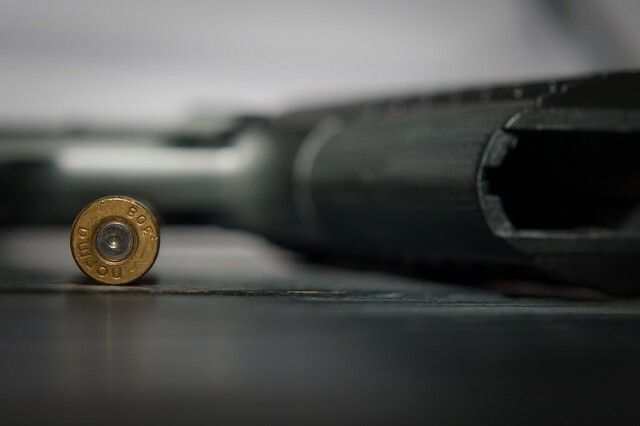 You should think of the safety features built into your gun as precautions taken by the manufacturer, but remember that it is ultimately your responsibility to ensure maximum safety. 4. Clear the barrel of all obstructions. Before shooting your gun, make it a habit to check the barrel for any debris or obstructions. The smallest amount of debris such as mud, excess grease or sticks. can cause a catastrophic buildup of pressure and the barrel may warp and explode when fired. One of the most practical ways in which you can clean your gun is with a cleaning rod. A cleaning rod allows you to reach deep within the barrel and wipe away any obstructions. Never try to remove an obstruction by firing your gun. Ultimately, you should use your instincts when firing. 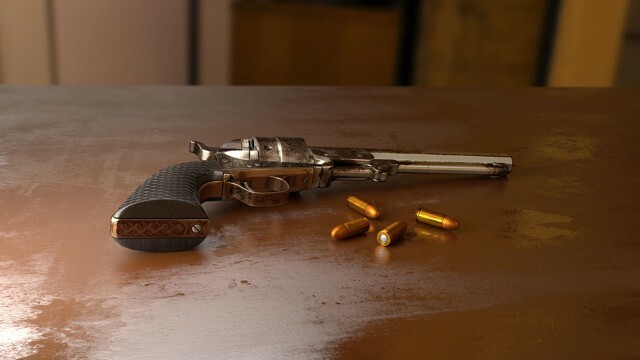 If you feel the recoil of the weapon is weak or hear an unusual sound, stop what you're doing, safely unload the firearm and check to see if there's anything in the barrel. Whether you're a newbie or a pro, everyone can learn from firearms training. The specific training you need should be determined by the way you plan on using your firearm. For example, if you intend on using your gun for sporting purposes such as target shooting, competitions, and hunting, you need training that emphasizes efficiency and safety. If you're using your gun for defensive purposes, you'll have to acquire other skillsets, such as how to fire from cover. Firearm training is necessary for everyone because most of the skills needed to handle a gun successfully are not instinctual or natural. For example, learning how to use the iron sights on a gun requires an individual to focus on the front sight and not on the target. We would naturally want to concentrate our attention on the target itself, but that's simply not the case. After you fire your gun, you should reset the trigger by releasing it far enough so that only the hammer and sear reset. This is a technique that increases accuracy, especially if you're firing multiple rounds. Gun training teaches individuals the fundamentals of firearm handling: manipulation, safety, and marksmanship. You learn how to use your grip and the importance of proper trigger control. You will discover how to load, unload, and check the status of your weapon. The list only goes on from there: what to do if your gun malfunctions, empty reloads, tactical reloads, etc. Clearing a malfunction on the gun range is different from knowing how to fix that same issue while in a life or death situation. Instruction is only one part of the equation. Once you've left the classroom, it's your job to put your new knowledge to the test. You should practice everything you've learned until it becomes so ingrained in your mind that the material becomes natural. Just like any skill set, if you don't practice and drill, you're going to eventually forget everything that you've learned. Dedicating a time during the week to practice the fundamentals is just as important as spending money on a training course. The combination of training and practice will not only cultivate you into an excellent shooter, but it also gives you the mental boost needed to apply your new found skills in a stressful situation. Knowing how to handle your firearm allows your situational awareness to kick into gear. Now that your mind doesn't have to work as hard to handle your firearm, you can observe your surroundings and assess new threats, focusing on how to deal with your situation. What good is gun training if you can't put your new skills to the test? 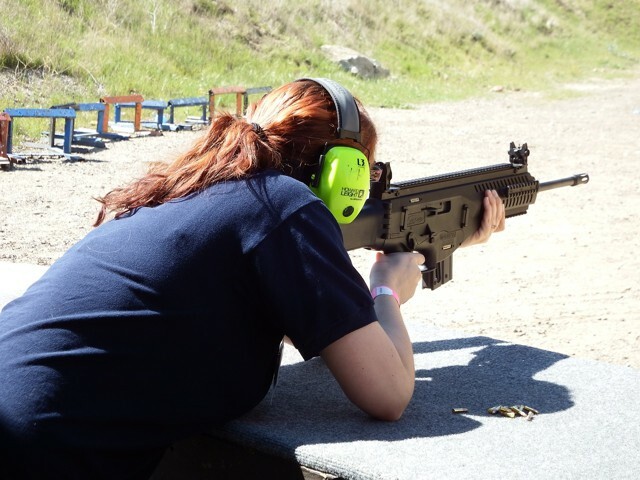 Whether you're training for a shooting event or just out for recreational purposes, shooting ranges can provide you with a stress relieving activity. There are a number of benefits for visiting a shooting range. It takes discipline to become a proficient gun handler. The repetition of rising each day and training for a shooting sport will ingrain certain skill sets until they become instinct. you'll find that if you do this long enough, you'll see increased stamina, strength, and better hand-eye coordination. Also, it takes a firm, steady grip to fire a firearm. After consistent practice, you should see an increase in arm and grip strength. Consistently viewing a target while aiming down the sights of your firearm will require you to channel your energy into focusing on what's immediately in front of you. As you clear your mind of everything else but the target, you'll find yourself living in the present moment. Whether you're at a shooting range or participating in a sport, there are times where you must stand perfectly still to fire your weapon. Adopting such a shooting stance will exercise your core muscles and improve your posture. Weak abdominal muscles add pressure onto the lower back due to lack of support. Strengthening these muscles evenly distributes the weight of the upper body, ultimately improving balance. 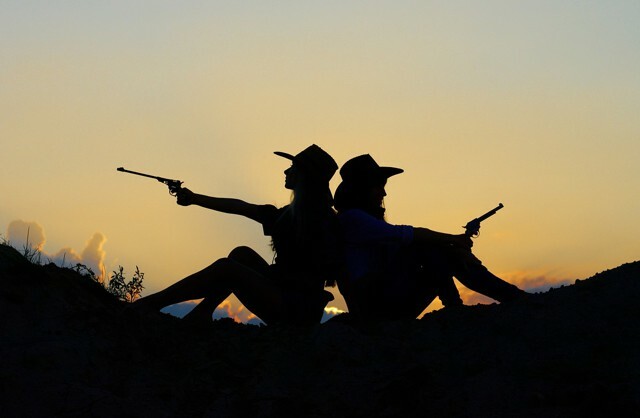 Gun clubs are groups of like-minded individuals who share a love for firearms. Gun clubs can differ from group to group depending on their focus. Group focus can range from hunting, home defense or simply a love for pistols. It helps to know that there are groups out there made up of individuals who share the same passions that you possess. There are a few benefits for joining a gun club. 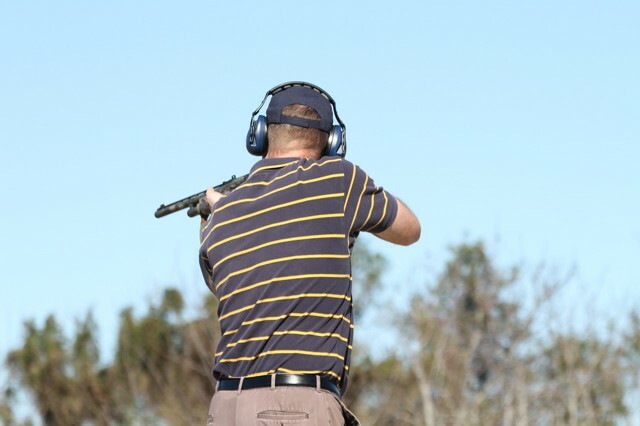 Belonging to a gun club allows you to gain access to events being held within the gun community. This includes the schedule of gun training courses. As we've discussed before, training is essential for every gun owner. There's always something new to learn and it helps to have a schedule of the closest training courses. If you happen to miss a training event, you should be able to find an alternative through the means of the club. 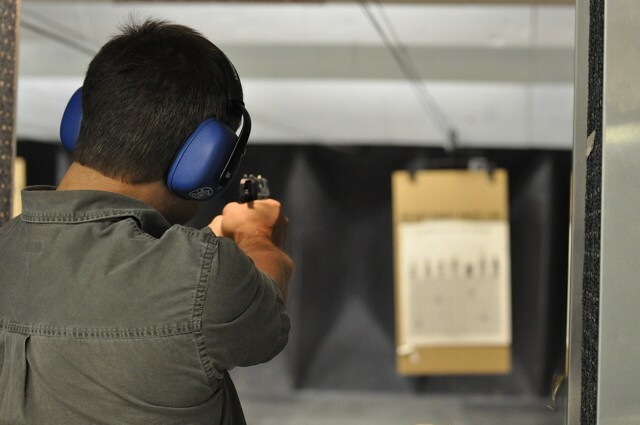 Gun clubs also offer the opportunity to try new firearms and learn new techniques from the other members. Typically, you'll find each member of the club will have their own tastes and preferences for guns. You may find yourself presented with an arsenal of unique guns that, if the owner is friendly enough, you'll be able to try out yourself. In the same token, you'll be able to learn new techniques from the other members. One of the greatest benefits of belonging to a gun club is receiving group discounts on tactical training. Some gun clubs don't have a tactical trainer or have any tactical training set in their schedules. It's possible to get a group discount for a tactical trainer to provide a training session for your club. Besides that, it allows your club to come together and learn a new skill, creating solidarity. Just like any other tool, your gun needs to be cleaned and maintained on a regular basis to operate at peak efficiency. Cleaning your weapon is one of the most important tasks that you have as a gun owner. The buildup of grime and oil can lead to issues that can prove catastrophic for your firearm. A well-maintained gun can last for generations. It's unwise to do a heavy day of shooting, come home and throw your gun into a damp basement. To ensure that your firearm stands the test of time, you must strip it down, clean it, oil it, and store it in a proper case or safe. Be mindful that guns with wooden stocks, handles, or inserts will require extra care. 2. Learning how your gun works. As you develop a rhythm of cleaning your weapon on a regular basis, you'll begin to find out how the inner workings interact with each other. You may not possess a desire to learn every single aspect of your firearm, but you'll find that disassembling it constantly for cleaning purposes will teach you a thing or two whether you want to learn or not. Some guns are more complicated than others. Given time and given the amount of guns you own and clean, you'll amass knowledge of how each of your guns work. Just because it's advised that you lubricate your gun, doesn't mean you should use an entire bottle in one sitting. Using too much lube can cause issues. Your gun has many moving parts. When these parts have too much lube, they can accumulate an excess of dirt. This buildup of dirt can cause your gun to malfunction due to light primer strikes and a failure to fire (FTF). Furthermore, failure to eject (FTE) can become an issue when the excess lube seeps its way into parts of the gun where the magazine transfers the round into the chamber. If your gun is completely drenched in lube, you're using too much, and you should soak it up immediately. Ultimately, you want your gun to be able to fire every single time that you pull the trigger. Your life may depend on your gun functioning at the right time. Take care of your firearm by servicing it regularly, and you'll find that it will take care of you. As a law-abiding gun owner, it's your responsibility to arm yourself with the knowledge needed to operate your firearm safely. Knowing what to do when your gun is in use coupled with rigorous training will make you a safer, more skilled firearm owner. Know that there are groups out there full of individuals who share a similar passion for guns. If you ever feel the urge to interact with other gun owners, join your local gun club. 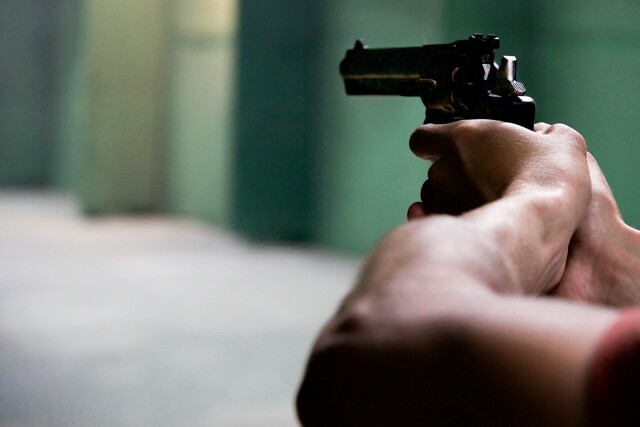 No matter how you intend to use your firearm, with these proper training and safety tips, you'll be prepared for any situation that may arise.